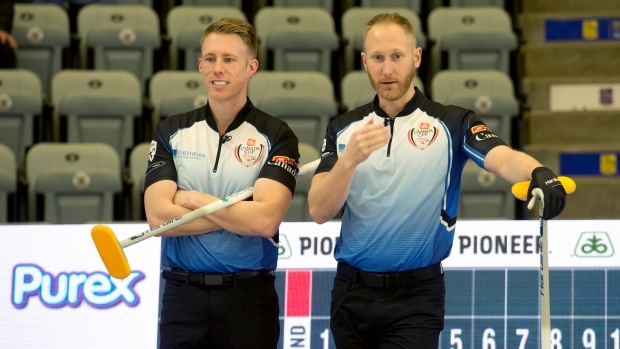 TORONTO — Marc Kennedy will replace third Ryan Fry on Brad Jacobs' Northern Ontario curling rink this season. The Alberta veteran announced he was taking a break from competitive curling after a 2017-18 season in which he went to the Olympics with Kevin Koe's rink. Kennedy did fill in for Fry on Jacobs' team earlier this season when the third took a leave of absence after an off-ice incident at an event in Red Deer, Alta. Fry was disqualified along with his teammates for what organizers called unsportsmanlike behaviour resulting from excessive drinking. Team Jacobs announced last week that Fry, who joined the rink in 2012, would be departing following the season after all sides came to a mutual agreement. The announcement came after the squad was eliminated in the semifinals at the Tim Hortons Brier. Kennedy won Olympic gold with Kevin Martin's rink in 2010 and captured world championship titles with Martin in 2008 and Koe in 2016. He also is a three-time Brier winner. Jacobs' rink, also featuring second E.J. Harnden and lead Ryan Harnden, won the Brier in 2013, silver at the world championship later that year and Olympic gold in 2014.